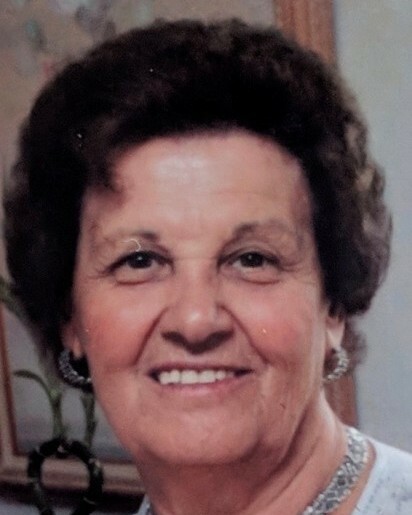 Filomena DiLeo, age 83 of Trumbull passed away Saturday, September 8, 2018 at Bridgeport Hospital. She was the beloved wife of the late Domenico DiLeo and the daughter of Angelo and Angela Siconolfi. Filomena was born in Italy and was the glue that held her family together. She loved cooking, gardening, watching QVC, and most importantly she loved her family. Her contagious smile and personality lit up any room and she always made sure that her grandchildren and great-grandchildren experienced all the family traditions that she gave her own boys growing up. She will be greatly missed by all who were lucky enough to have known her. She is survived by her loving sons, Vito DiLeo and his wife Angela, and Carmine DiLeo and his wife Rosa, her sister, Grace Siconolfi and her husband Michael, grandchildren, Marisa Pereira, Tania Laskaj, Filomena DiLeo, and Carmela Bien, great grandchildren, Brianna and Mateo Pereira, Joseph Bien and Lennox Laskaj and her nieces and nephews . In addition to her husband and parents she was predeceased by her brother Giuseppe and sister Caterina. Funeral services will be held Wednesday at 9:15am from the Redgate-Hennessy Funeral Home, Main Street and Gorham Place, Trumbull and at 10:00am in St. Margaret Shrine, Bridgeport with a Mass of Christian Burial. Entombment will follow in Mountain Grove Cemetery, Bridgeport. Friends may call Tuesday 4-8pm.